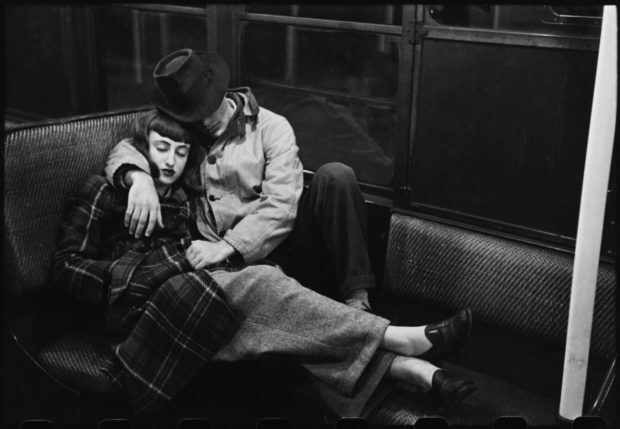 Stanley Kubrick, from “Life and Love on the New York City Subway”, 1947.
from “Faye Emerson: Young Lady in a Hurry”, 1950. At the tender age of 17, Stanley Kubrick sold his first photograph to Look Magazine. The year was 1945, and the war was coming to an end. 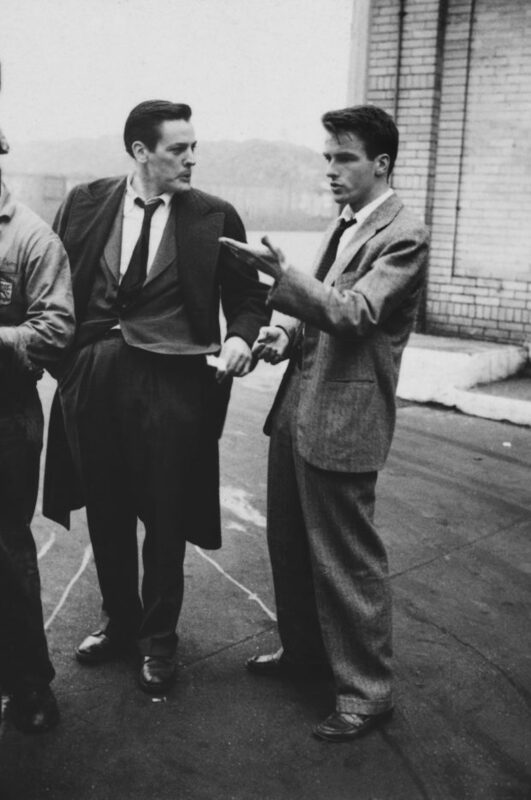 For the next five years, Kubrick would document New York during a pivotal period of transition as it rose to become the capital of the globe in the 1950s. As a Look photographer, Kubrick captured slices of life that took him to nightclubs and sporting events, to the beaches and the boardwalks, the racetrack and the paddy wagon. Now the Museum of the City of New York presents a selection of more than 120 photographs from his archive for the exhibition, Through a Different Lens: Stanley Kubrick Photographs, on view now through October 28, 2018. The exhibition is accompanied by a catalogue from TASCHEN bearing the same name. Curated by Sean Corcoran and Donald Albrecht, Through a Different Lens provides a powerful look at the passions of Stanley Kubrick during his earliest years behind a camera. Corcoran gives us a fantastic tour through these formative years in the young artist’s life, as they form the bridge between him and the stunning filmmaking career yet to come. 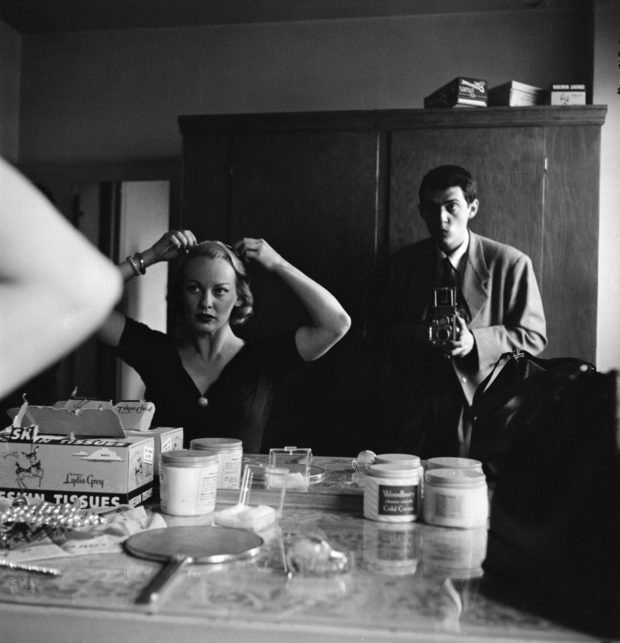 This is such a fascinating look into the early years of Stanley Kubrick as a visual storyteller. What was the inspiration for the exhibition, and what were some of the challenges putting it together? 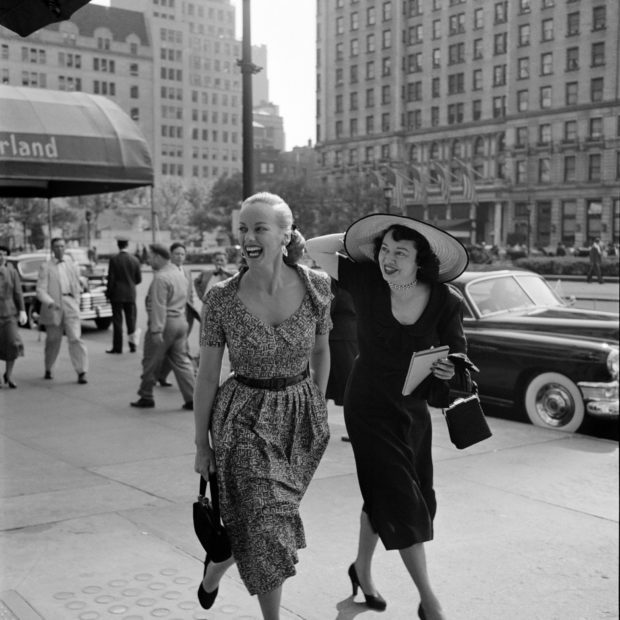 “The Museum of the City of New York was lucky enough to have the New York related photography assignments from Look magazine donated by the parent company Cowles, Inc. throughout the 1950s and 1960s. The collection (well over 200,000 images) includes work by some of the 20th century’s best documentary photographers. “Over the years the museum has been slowly researching, cataloging and digitizing the material in this collection. About twenty years ago we had just really begun to understand the scope of this material. Because a very large percentage of the collection is comprised of original negatives it has been hard to access the material, and it is thanks to extensive efforts to digitize materials in the last decade that we have been able to really see the work of certain photographers. “We’d known there was a large number of Stanley Kubrick’s photographs in the collection, but we didn’t know the quality and content of the material until relatively recently. When nearly all 15,000 negatives were imaged we began to see the remarkable story of a young man who sold his first photograph to Look at 17 years old, became a staff photographer fresh out of high school, and in very short order became one of the magazines most prolific image makers. 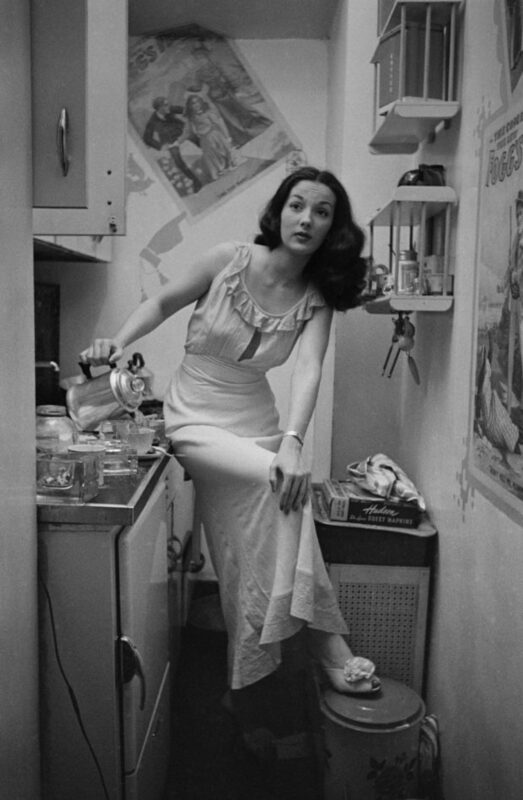 Stanley Kubrick, from “Rosemary Williams – Showgirl”, 1948. Could you speak about the significance of photo magazines, particularly Look, during the 1940s and the ways in which they informed and influenced the culture at this time? “Magazines were one of the major sources for news and entertainment in the 1940s. People also read newspapers, listened to the radio, and saw news reels at the movies, but you have to remember that television was still in its infancy at the time. “By this time New York City was home to the nation’s two leading pictorial magazines, Life and Look. Look was founded in 1937 and sought ‘a lower, broader field’ than Life, whose sweeping mission was ‘to see life; to see the world; to eyewitness great events; to watch the faces of the poor and the gestures of the proud.’ Because Look was a biweekly, its staff did not need to cover breaking news and could be more freewheeling in their search for human-interest stories than their counterparts at Life’s team, who were driven by their magazine’s weekly publication imperative. Could you describe New York City as a backdrop for Kubrick’s work, the city during the first flush of post war prosperity and growth, and the ways in which this particular era inspired Kubrick’s aesthetic sensibilities? “When Kubrick went to work for Look in 1945, it was at a time when G.I.s were returning from the war and trying to find their place back in society, going to work and flooding colleges and universities. The city itself was still the old Depression era city. It wasn’t the city of skyscrapers that it would become, but still the low slung city of neighborhoods and ‘Mom and Pop’ stores. Amongst the newest skyscrapers was the Empire State Building completed in 1931. Stanley Kubrick, From “Faye Emerson: Young Lady in a Hurry,” 1950. How did Kubrick’s ability to create long-form narrative photo essays inform his gifts for visual storytelling that would later appear on film? “Over the course of five years at Look, Kubrick learned the fine art of storytelling through pictures. Initially at the magazine Kubrick was given assignments where he observed small things like street conversation and the images were reproduced almost like a contact sheet. Kind of mini-narratives. What are some of the themes and motifs that Kubrick explored in his photography that would become features of his film work? “As Kubrick was working for Look, he was particularly attuned to postwar American themes that the magazine often explored such as consumerism, science, and the family. Some of these themes carried over into film work, but to me, it is when he deviated from its mainstream approach into his own, idiosyncratic taste for eccentricity and voyeurism that we truly get a look into the filmmaker he would become. from “Montgomery Clift: Glamour Boy in Baggy Pants”, 1949. Could you speak about Walter Cartier, the subject that formally launched Kubrick’s filmmaking career, and how this came about out of the story “Prizefighter” for the magazine? “Throughout his career at Look, Kubrick often covered boxing as it was a popular form of entertainment at the time. In the case of ‘Prizefighter,’ Kubrick was assigned (as far as we know he did not pitch the story) to tell the day-in-the-life story of Walter Cartier, a middleweight fighter trying to make it big. We know that he photographed the assignment in the fall of 1948 and that it was published in the spring of 1949. “In almost a literal sense, the photographs for this assignment became the story board for his first short film Day of the Fight. Kubrick self-funded and shot the film in 1950 while still on staff at the magazine with the assistance of his longtime friend Alex Singer. Singer had worked at The March of Time (shorts produced by Time, Inc. for movie theaters) and told Kubrick that it had been costing them $40,000 to produce newsreels. “Kubrick was enterprising enough to see an opportunity – to make a film for much less and to sell it to them for distribution. This was a way into the filmmaking business. Of course, The March of Time was overspending on their films and soon went out of business, and Kubrick was barely able to break even on the film, selling it to RKO Pictures for distribution in 1951. Looking at this body of photographs, what would you describe as Kubrick’s strengths that he took with him to filmmaking? “Kubrick’s work for Look advanced his ways of seeing and his fascination with human relationships. He sometimes photographed unsuspecting subjects engaged in intimate interactions or caught others in the act of looking. His ability to see and translate an individual’s complex psychological life into visual form was apparent in his many personality profiles. 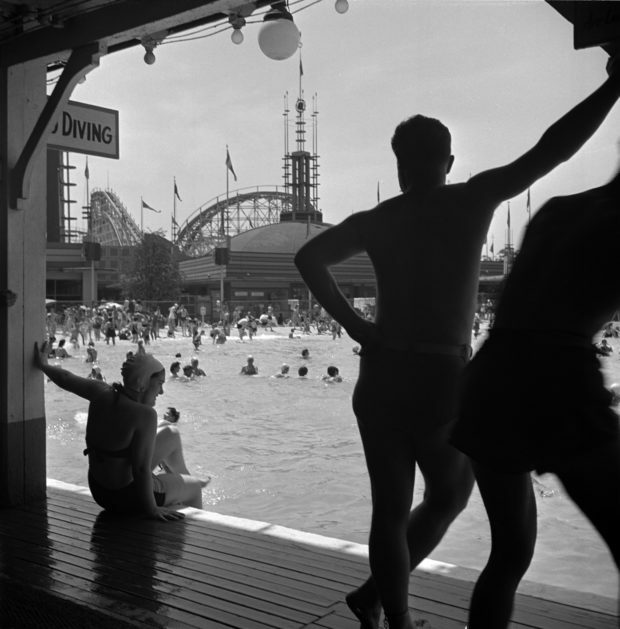 Stanley Kubrick, From “Fun at an Amusement Park: Look Visits Palisades Park,” 1947. All images: © Stanley Kubrick. Courtesy of the Museum of the City of New York / SK Film Archive, LLC.